An AQR for the NBFC sector? 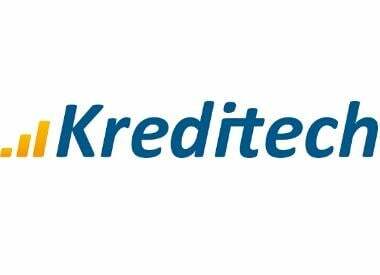 Kreditech has been licensed by the RBI to operate as an NBFC with the first-of-its-kind licence in Indian financial history for digital lending business and app-based financing, the Germany-based company said in a release Monday. Kreditech's product suite for India will offer individualised direct-to-consumer loans as well as its Lending-as-a-Service Solution for vendors (LAAS), which allows partners to offer customised credit products to their customers, it added. With a market potential of roughly $1 trillion in revenue for the next five years, India clearly is the most promising emerging market for Kreditech...Our proprietary credit scoring technology can assess an applicant's creditworthiness in seconds and with higher precision than traditional credit-bureau based systems can," said David Chan, CEO at Kreditech. The consumer lending industry in India is witnessing major disruption through technological innovation such as real-time scoring models on the basis of big data and machine learning algorithms, said Ashish Kohli MD & CEO, India operations. Founded in 2012 and headquartered in Hamburg, Germany, Kreditech operates in India, Poland, Russia and Spain. Kreditech is backed by leading international fintech-investors including PayU, J.C. Flowers, Varde Partners, and World Bank's IFC, among others.